To ensure the proper use and effectiveness of cattle health products, beef producers must use FDA-approved products and use them only as directed by the label or veterinary prescription (if all requirements are met). All products must be properly stored and handled for intended effect. One of the advantages of participating in a quality assurance program is the constant review of procedures for handling, using, and storing cattle health products. There is a potential for improved profit, whether by reducing waste or improving drug effectiveness. All products purchased for your cattle have a purpose. However, if you do not handle or administer cattle health products properly, you may not see the benefit you are paying for. Drugs approve by the Food and Drug Administration (FDA) meet stringent requirements. They have been thoroughly tested to demonstrate that they consistently perform the way the manufacturer claims, that they will not harm the animal when administered according to label directions, and that food products derived from treated animals are safe for human consumption following an adequate withdrawal time. FDA-approved OTC drugs are those that can be purchased and administered by anyone without a veterinarian’s prescription. Examples include, but are not limited to, cattle dewormers, most vaccines, and a few antibiotics. OTC drugs must be administered according to FDA-approved label directions, unless following a veterinarian’s prescription. If you have any questions about the product, talk to your veterinarian, because understanding the product label is the most important part of administering these medications. 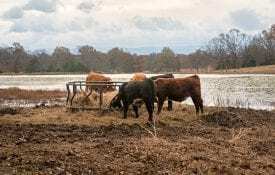 All antibiotics administered through animal feed that are also important in human medicine require a written Veterinary Feed Directive from a veterinarian. A valid veterinarian/client/patient relationship must be established. In such a relationship, the veterinarian agrees to take responsibility for making judgments regarding the health of the animal(s) and the need for medical treatment, and the client agrees to follow the veterinarian’s instructions. A determination must be made that there is no approved drug labeled to treat the condition or that treatment at the recommended dosage of an approved product would not be effective. A record of any animal given extra-label treatment must be maintained. This can be done on a herd or individual basis. The withdrawal time prior to marketing an animal for slaughter must be significantly extended, as determined by the veterinarian. Extra-label drug use for production purposes such as weight gain, feed efficiency or milk production is inappropriate. 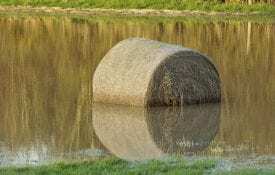 Extra-label use of drugs in animal feeds is strictly prohibited. A list of drugs that are prohibited from extra-label uses in food producing animals can be found on the FDA’s website. You, as the owner of the animals, are ultimately in charge of making sure meat does not contain illegal drug residues. 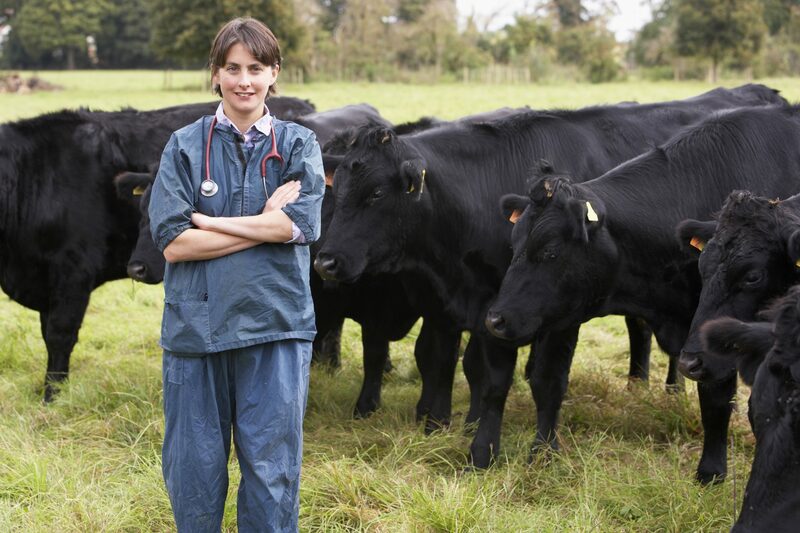 Your responsibilities are to make sure a careful diagnosis has been made based on your herd- health history and/or individual animal examination, to identify all treated animals and keep treatment records, and to follow veterinarian-recommended extended withdrawal times. Familiarize yourself with the label example at the end of this document. Failure to understand a drug label is not a valid defense if milk or meat from one of your animals is found to contain drug residues. Drug performance declines if the expiration date has passed, if the storage temperature is too hot or too cold, or, in some cases, if the drugs have been exposed to air or light. All of the information you need to meet proper storage requirements is found on the FDA-approved drug label. Many drugs need to be refrigerated at 36 degrees to 45 degrees F and must not be frozen. Keep an accurate thermometer in your refrigerator to monitor the temperature. Do not store medication in syringes, and do not save partially used vaccines bottles. They will not be effective for later use and may be contaminated. Avoid exposing vaccines and other medicines to direct sunlight. This may degrade the product. Use an insulated cooler for storing syringes and drugs while working on cattle to avoid sunlight and maintain the proper temperature. Collect used needles in a rigid plastic container. Dispose of them by returning them to your veterinarian. Destroy disposable syringes so they cannot be reused or misused. Read FDA-approved labels and follow their instructions regarding disposal. Some drugs and vaccine containers require incineration before disposal. Used needles, scalpels, etc., are considered medical waste and must be handled and disposed of in accordance with laws that govern them. Consult your local veterinarian regarding any questions on proper use of medications. Description: COWBIOTIC is an effective antimicrobial preparation containing hydrocillin and steptazolidin. Each mL of this suspension contains 200 mg of hydrocillin and 100 mg of streptazolidin. Download a PDF of Alabama Beef Quality Assurance: Cattle Health Product Use and Storage, ANR-1279.